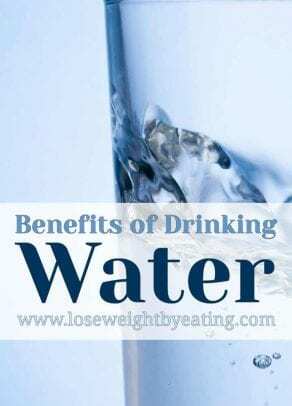 At WeightLossTopSecret, we LOVE water and all it’s health benefits. It’s why we have so many fruit infused water and detox water recipes, simply because it’s so good for you and everyone can afford it. Can drinking water help you lose weight? Spoiler alert, YES IT CAN! 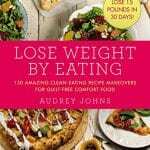 Keep reading below to find out how drinking water for weight loss can help support your dieting efforts, cleanse your body, and much more. Here are some of my favorite reasons why you should be drinking plenty of this stuff. The importance of water just can’t be stressed enough. A person can go for weeks without food, but only a few days without water. It plays a vital role in nearly every vital bodily function we have. If your body doesn’t get enough water, it becomes dehydrated. Below I’ve listed the top 10 health benefits of water. If these drinking water benefits don’t convince you to drink more water, try some of my yummy fruit infused water and let your taste buds convince you. And if that wasn’t awesome enough, drinking water before a meal can also help you feel more satisfied and eat less (4). Drinking water helps with water weight loss, reducing bloating. I recommend drinking a 16 ounce (500 ml) glass of water before you eat as an easy habit that will pay off long term. If you find yourself snacking more often try, drinking a large glass of water in lieu of snacking. You can lose weight drinking water because it will fill you up and ward off those snack cravings. So when you’re exercising and sweating, make sure to drink plenty of water to stay hydrated and make it easier for your body to perform at its best. Sports drinks are packed with sodium, preservatives, fake sugars and artificial colors, all of which negatively affect weight loss. So keep it simple and opt for water, best of all most gyms have water fountains, free is better than $1.99 per sports drink! 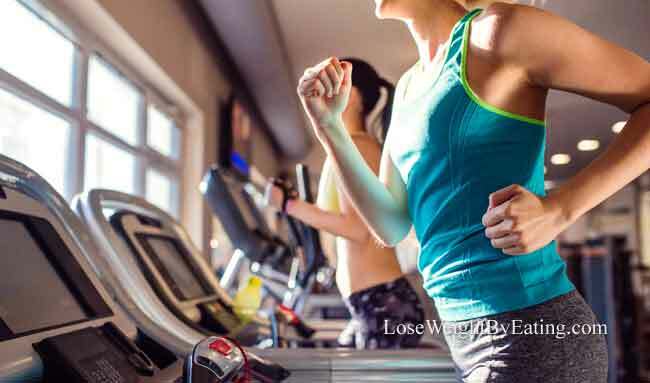 In another study, loss of fluids after exercising negatively affected the mood and concentration of the study participants, and increased the amount of headaches subjects experienced. A 1-3% loss of fluids in your body can happen with just normal everyday activities. So to keep your brain functioning at its best, make sure you drink plenty of water all day. So the next time you have a headache, try drinking a tall glass of cool water, it just might do the trick without having to take any medication. 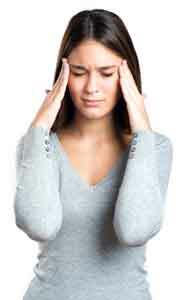 And be sure to drink up all day long to ward off those nasty headaches and migraines. Many people suffer from constipation. It’s caused by many things, including medications, stress, poor diet, and not drinking enough water. Higher fluid intake increases the amount of urine that passes through your kidneys, helping to flush toxins from them and supporting normal kidney functions. So if you’ve been treating your kidneys badly and have consumed too many bad things (like alcohol and salt), do them a favor and drink lots of water to give them a good detox flush. Your skin contains a lot of water. It also acts like a barrier preventing fluid loss throughout your whole body. When you’re dehydrated, your skin will look more dry and wrinkled. But once you take in the proper amount fluids, it will look its normal, beautiful self again. Skin moisturizers also help create a physical barrier as well to lock in moisture, but remember to treat from within as well with lots of water. Alcohol is a diuretic, which means it promotes the production of urine and causes excess fluid loss in your body. Hangovers are partly caused by the diuretic effect of alcohol, and the dehydration it causes. To help alleviate the chances of a hangover when you’re drinking alcohol, try drinking a glass of water between each drink. Also, have at least one large glass of water before you go to bed. If you do wake up with a hangover try drinking one of my restorative fruit infused drinks, if you have a bloated feeling hangover Cucumber Lemon Water will help you feel less bloated and get your headache and fuzziness in check. If you have a nauseous hangover Mango Ginger Water will help easy your tummy while clearing any headaches and dizziness caused by dehydration. Your skin is the largest organ in your body, and is responsible for helping to control the temperature of your body through sweating. Since your body creates a lot of heat through metabolic processes, it’s important that it’s able to regulate temperatures properly. So when you’re hot, make sure to drink lots of water to ensure your body can cool itself properly. Bad breath (halitosis) is caused by bacteria lodged in the grooves of your tongue, teeth, and gums. This buildup of bacteria causes bad smelling things called volatile sulfur compounds. When your mouth is dry (like when you first wake up in the morning), you lack the saliva to rinse these compounds out of your mouth. Drinking water helps flush these bacterias and keeps your mouth from having a build up the bad smelling compounds. So drink lots of water and keep your breath fresh! I’ve written a whole article on How Much Water Should I Drink a Day, including a section on how to drink more water. Also, check out our favorite fruit infused water bottles so you can bring your water with you no matter where you exercise. I recommend reading up on all the benefits of drinking water, including using fruit infused water.